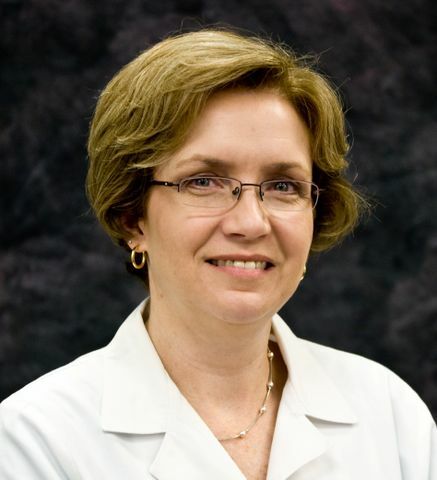 KINGSPORT – Robin Harris, clinical director for the Wellmont CVA Heart Institute’s HeartSUCCESS® program, recently earned top research abstract honors at the American Association of Heart Failure Nurses’ annual meeting in Montreal. The abstract, Exercise in Heart Failure Patients: Physiological and Psychosocial Effects of a Home-based Combined Aerobic and Resistance Exercise Training Program, won first place in the oral abstract competition. It was based on research Harris conducted for her dissertation. She received her doctorate in nursing from the University of Tennessee in 2012. Harris’ research focused on answering a question she frequently hears from patients: Is it safe for patients with heart failure to exercise? Based on her research, the answer to the question for patients with systolic heart failure is yes. Harris decided the best way to answer this question was to design a study. She focused on people with systolic heart failure – which means reduced heart pumping function – rather than patients with diastolic heart failure – which means the heart pumps normally but is stiff and the relaxation phase of the heart pumping action is abnormal. She recruited 71 participants for the study. Sixty seven of them completed the 12-week program, which included aerobic and resistance training exercises. Study participants were divided into two groups – an intervention group that participated in the exercise program and a control group that received usual heart failure care with no specific exercise regimen. The intervention group that took part in the exercise regimen fared better. Harris’ abstract was chosen as the best by the American Association of Heart Failure Nurses’ research committee, which invited her to be one of four presenters at the conference. She was recognized with a complimentary registration for next year’s meeting in Los Angeles, and her abstract will be published in the American Association of Heart Failure Nurses’ official journal, Heart & Lung: The Journal of Acute and Critical Care. Harris’ research has also led her to ask more questions and become interested in further investigation about creating an exercise protocol for patients by degree of heart failure. But for now, she is glad to be able to give patients with systolic heart failure a definitive answer when they ask whether it is safe for them to exercise. Download photo of Robin Harris.